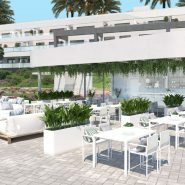 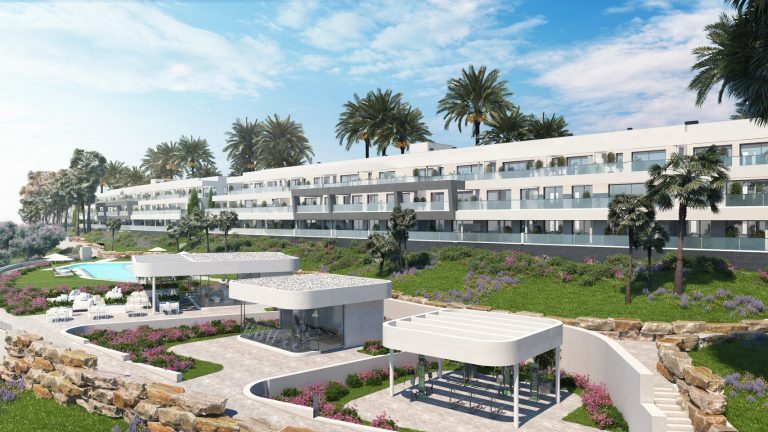 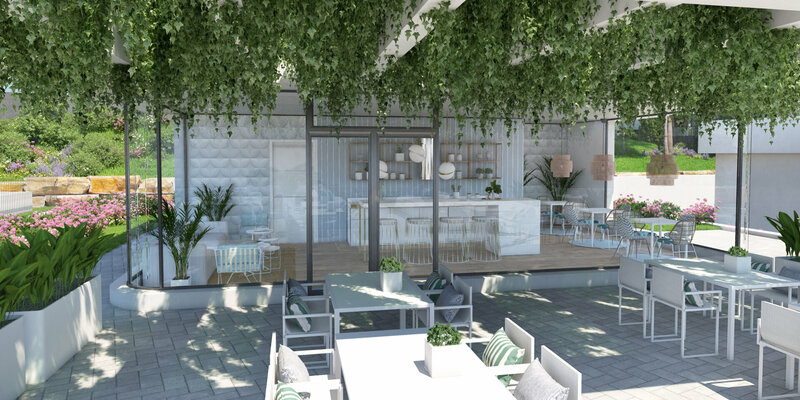 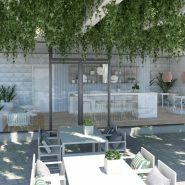 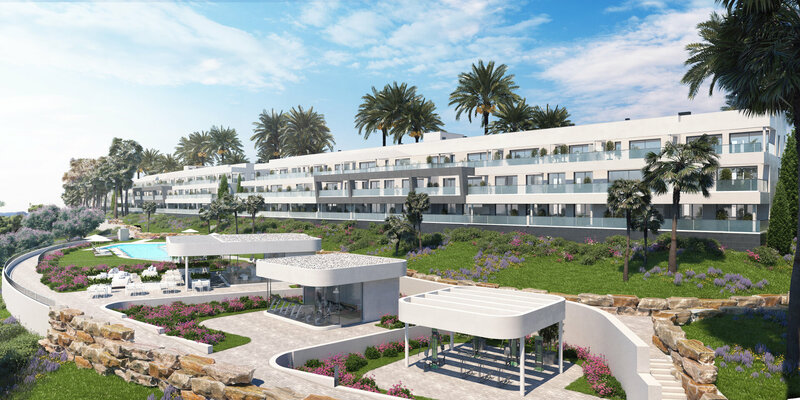 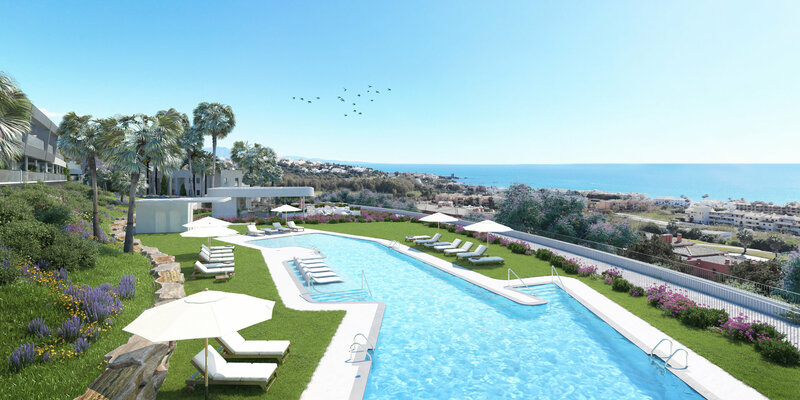 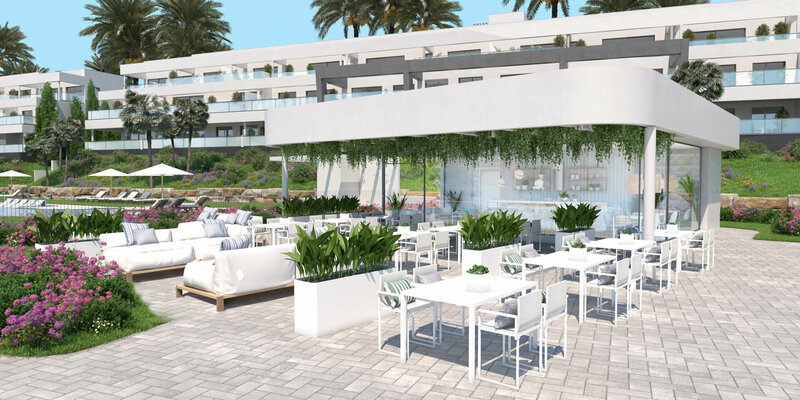 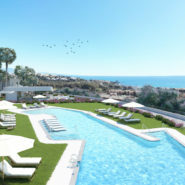 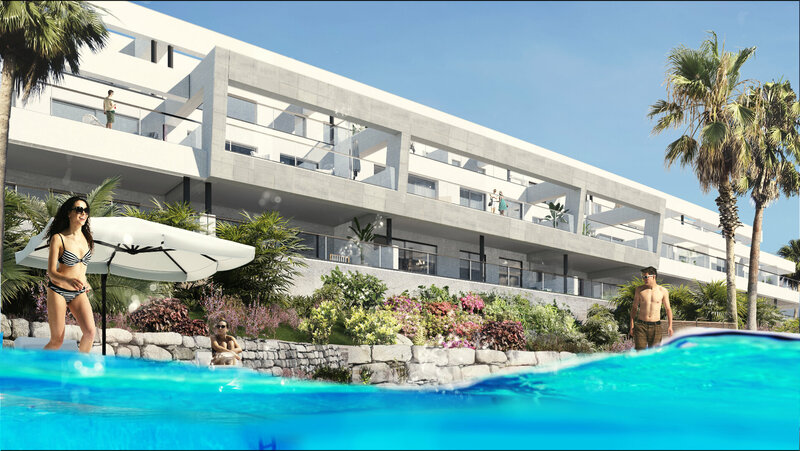 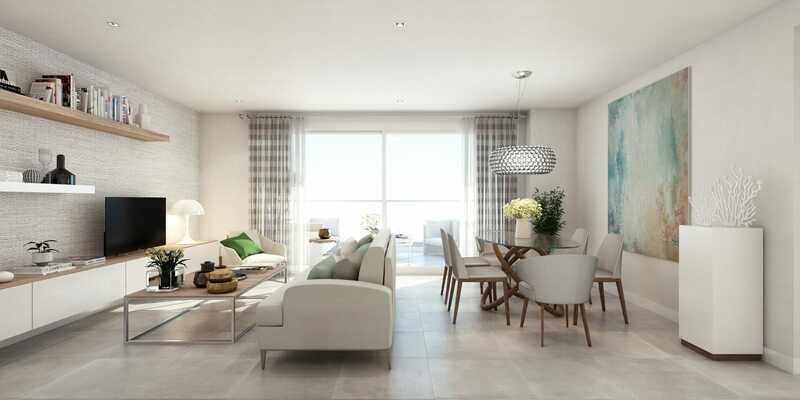 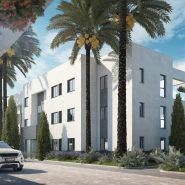 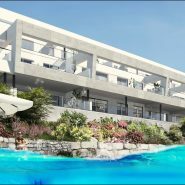 Celere Doña Julia is a new-build development 400 meters from the beach, in an idyllic setting, with beautiful views over the sea and the Doña Julia golf course. 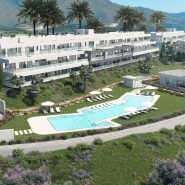 Located in a privileged setting in Casares bay, surrounded by Dona Julia Golf course and at a stones trough to the beach. 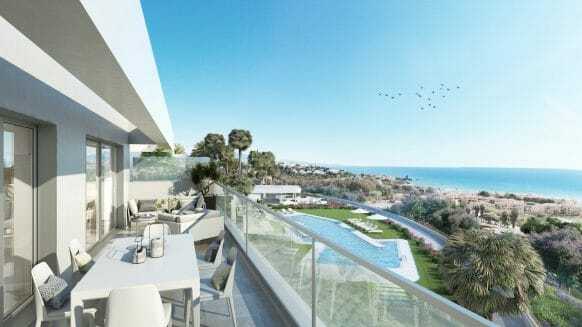 So yes, Celere Doña Julia is an ideal place if you want to live in a quiet surrounding, play golf in an ideal location with the beach just a few metres away. 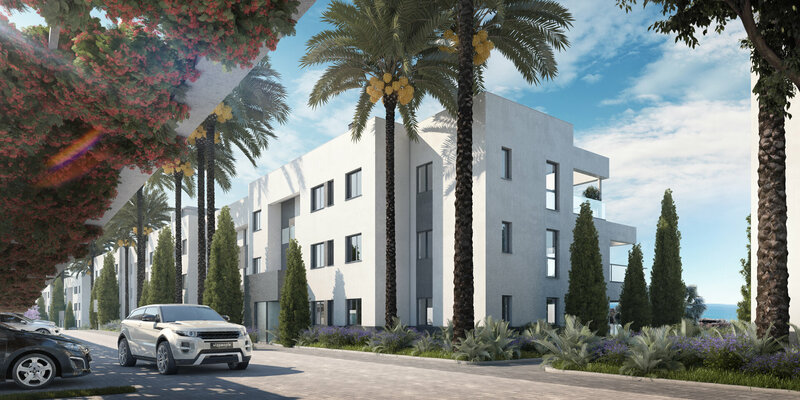 Celere Doña Julia is a residential complex of 104 units offering 2 bedroom and 3 bedroom apartments with 2 bathrooms. 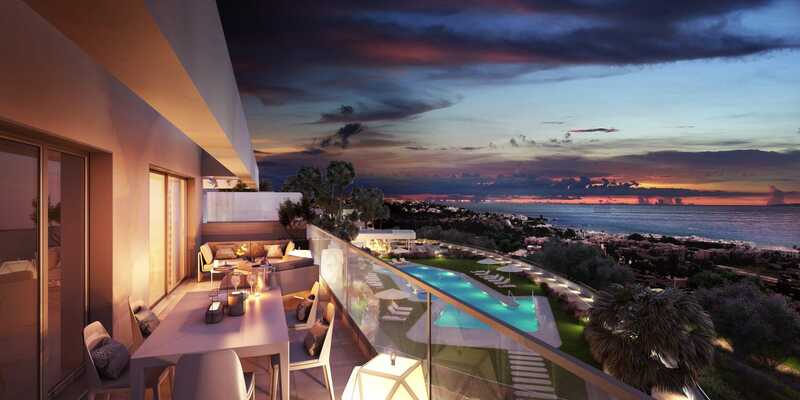 Ground floor, first floors and penthouse apartments, all with large terraces. 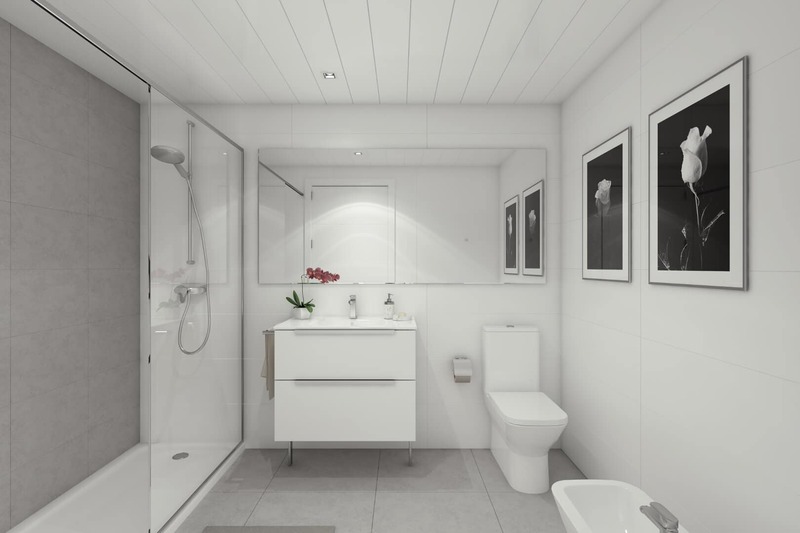 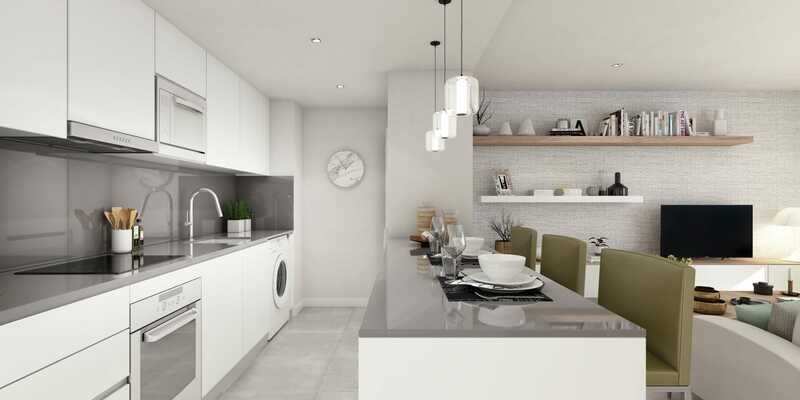 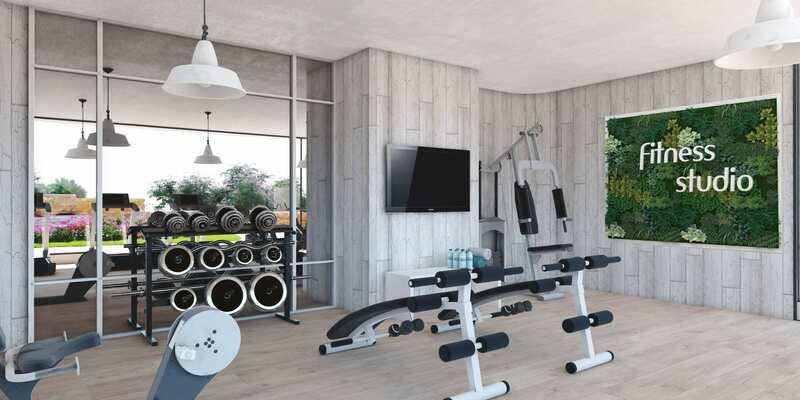 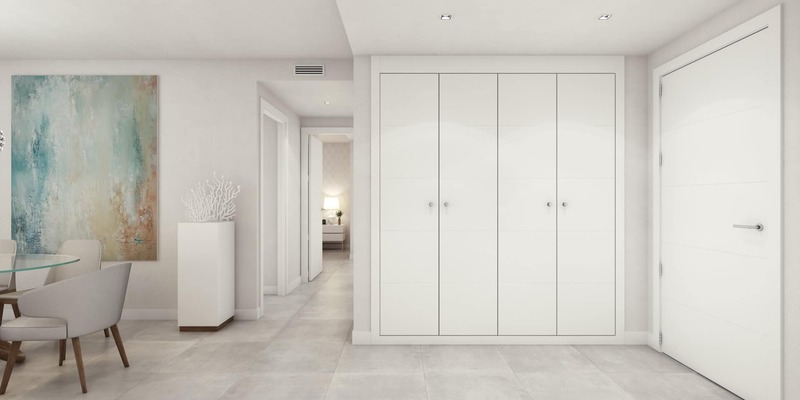 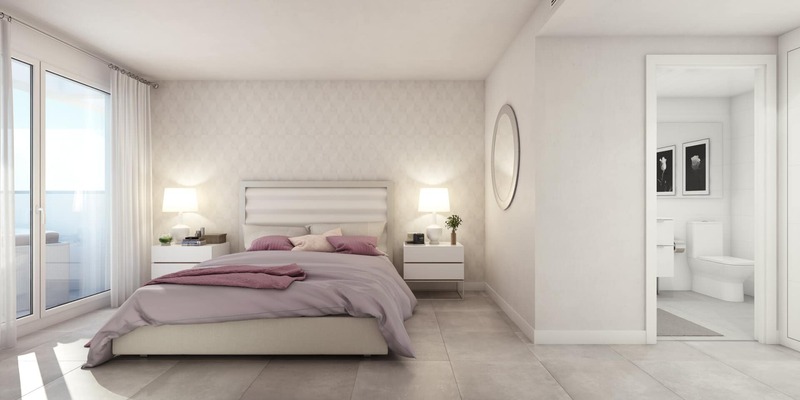 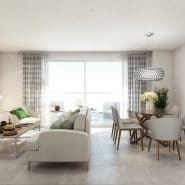 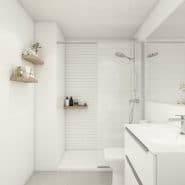 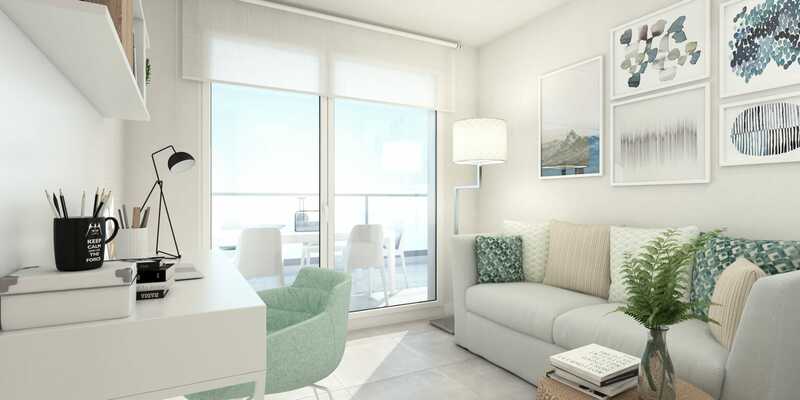 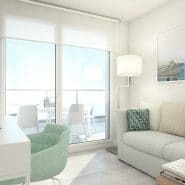 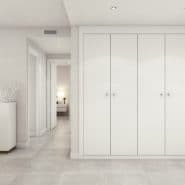 Apartments have fully equipped kitchens, air conditioning (cold-heat), fully fitted wardrobes, security door, internet and tv connection.. Garage and storage room are included in the price. 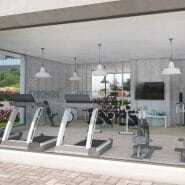 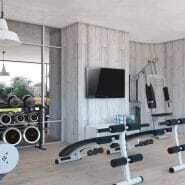 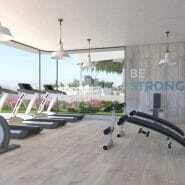 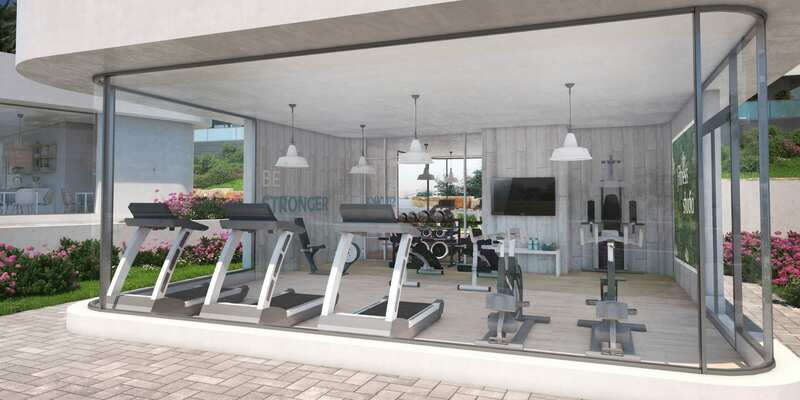 Large communal areas offer extensive gardens, swimming pool, gym and a Social-Gourmet room. 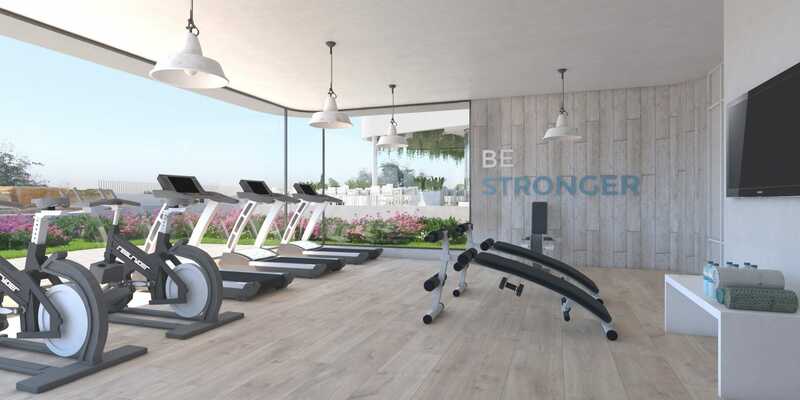 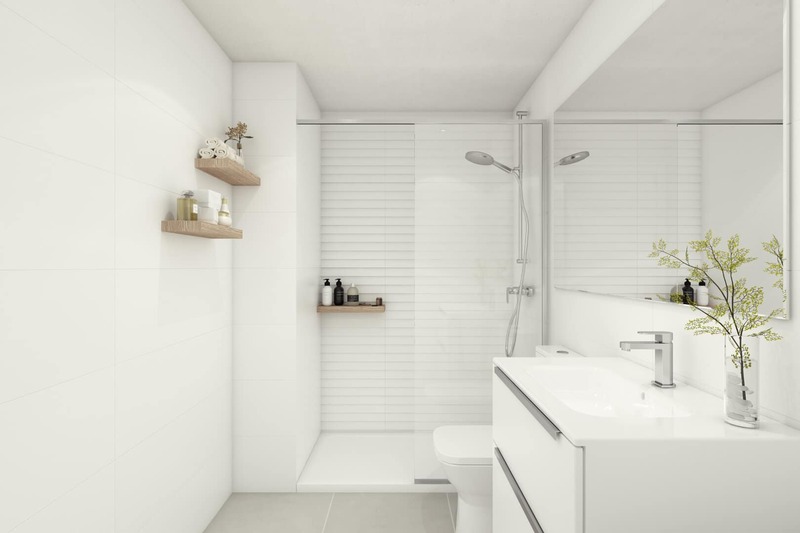 At the Celere Doña Julia development quality, versatility and sustainability are basic aspects and your new home therefore has B energy rating, with an estimated energy saving of 80% and reduction in CO2 emissions. 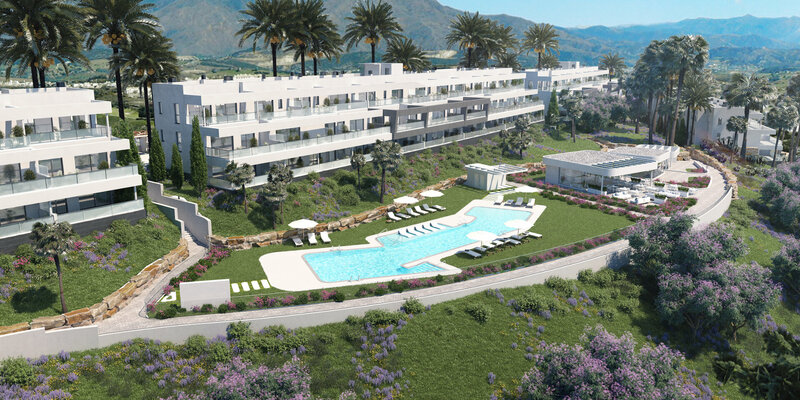 From the complex you can walk to the impressive beaches of the Casares Bay in a 10 minutes quiet walk. 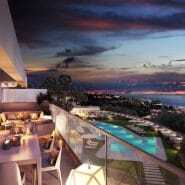 By car you reach Estepona and Sotogrande in les then 10 minutes. 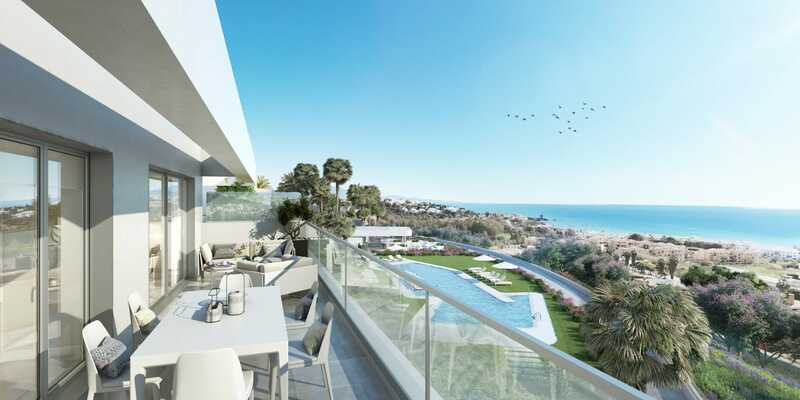 Closer, in less than 5 minutes, you will find the sport marina of La Duquesa and the commercial area of Sabinillas. 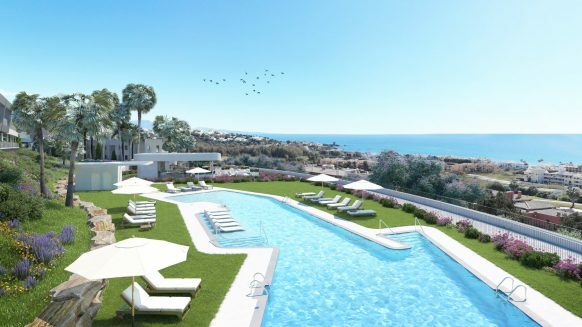 Famous Marbella and Puerto Banus are less than 20 minutes away. 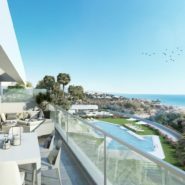 Celere Doña Julia is in an strategic enclave 20 minutes away from Gibraltar airport and 50 minutes from Málaga international airport. 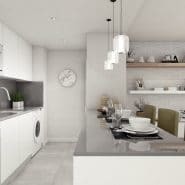 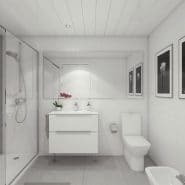 Would you like more detailed information, a layout plan or visit on site, let us know we are here to assist.